Overview… football coach. 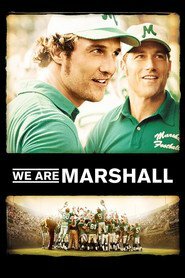 Lengyel is the head coach at the College of Wooster, in Ohio, when he hears that a plane carrying all but a few members of the Marshall University football team crashed during its final approach, killing everyone aboard. Lengyel wants to help, so he applies for the vacant head coach position at Marshall and gets it. And so he packs up and heads for Huntington, West Virginia, with wife and three children in tow for the difficult and emotional job of rebuilding the Marshall football program from scratch. Personality… unpretentious, optimistic, and earnest. Lengyel tends to ramble, leading some to find him something of a weirdo. But he is pure of heart, a committed family man who enjoys playing football in the yard with his kids. His strong paternal instincts make him both a good father and a good football coach, especially for the delicate situation at Marshall. Jack Lengyel's popularity ranking on CharacTour is #4009 out of 5,000+ characters. See our top-ranked characters and read their profiles.